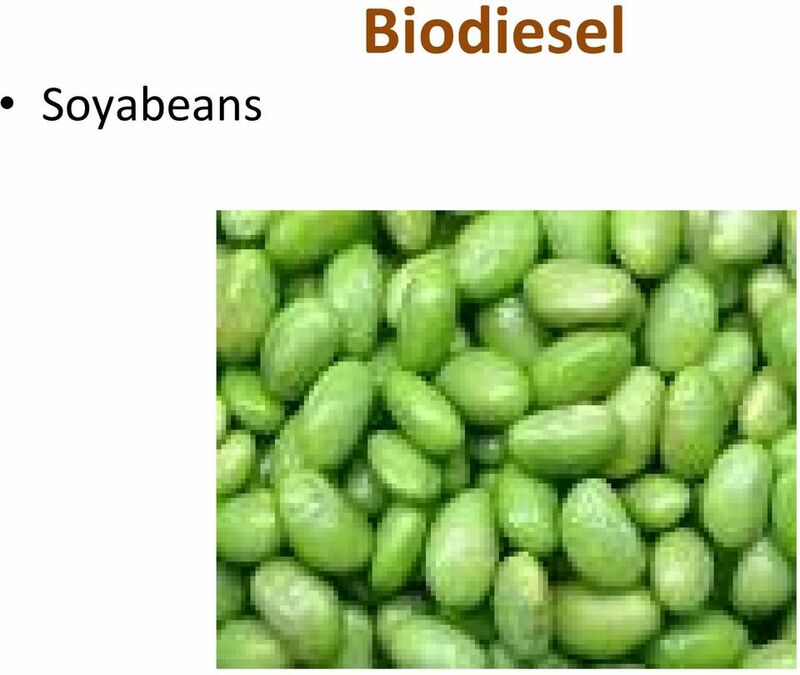 Download "Alternative to Fossil Fuel"
3 Biodiesel Biodiesel is made from any vegetable oil such as Soya, Rice bran, Canola, Palm, Coconut, Jatropha or peanut,from any animal fat and recycled cooking oils. 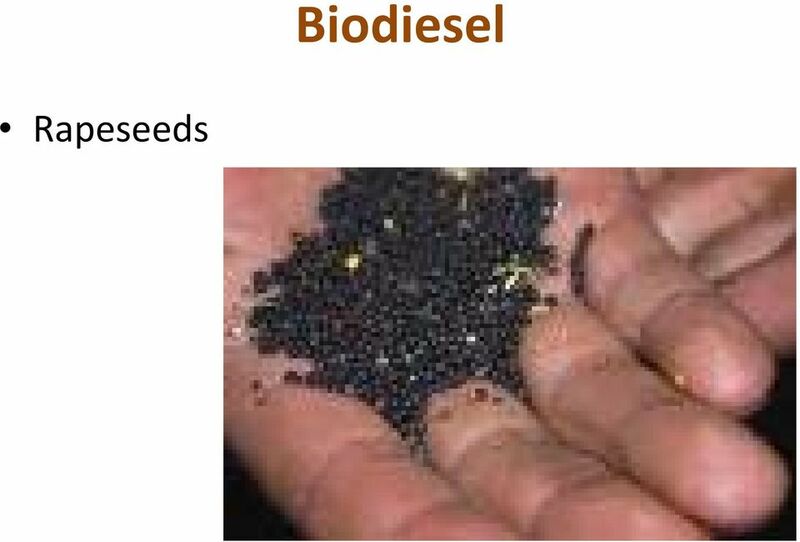 11 Features of Biodiesel Biodiesel is a clean burning fuel Biodiesel is intended to be used as a replacement for petroleum diesel fuel, or can be blended with petroleum diesel fuel in any proportion. 15 Biodiesel Emissions Biodiesel is an alternative fuel that have a complete evaluation of emission results and potential health effects submitted to the U.S. Environmental Protection Agency (EPA). 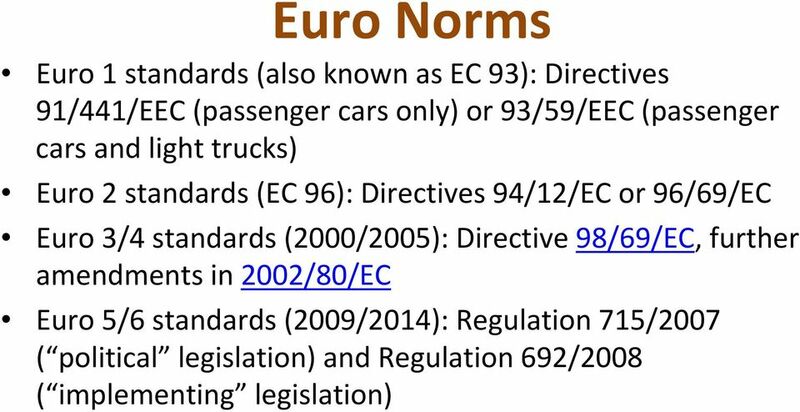 It includes the most stringent emissions testing protocols ever required by EPA for certification of fuels or fuel additives. 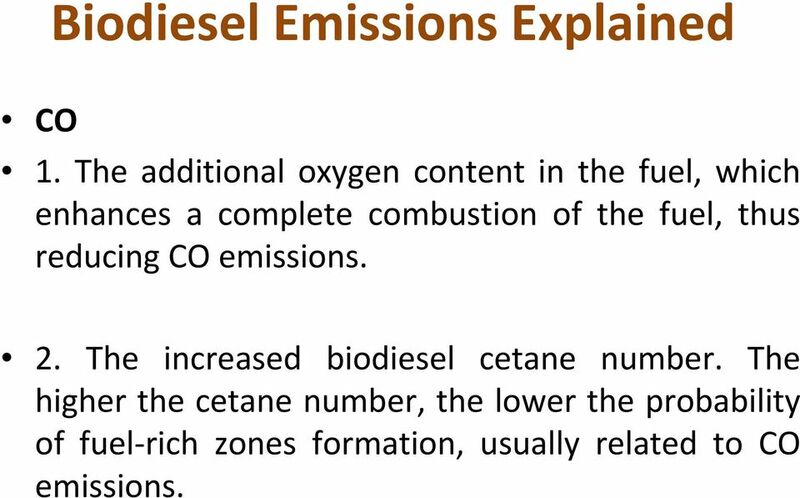 20 Biodiesel Emissions Explained CO 1. The additional oxygen content in the fuel, which enhances a complete combustion of the fuel, thus reducing CO emissions. 2. 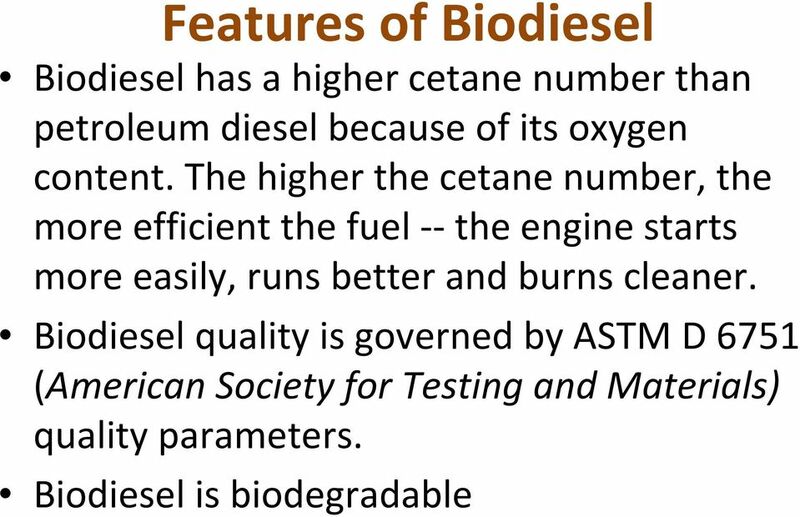 The increased biodiesel cetane number. The higher the cetane number, the lower the probability of fuel rich zones formation, usually related to CO emissions. 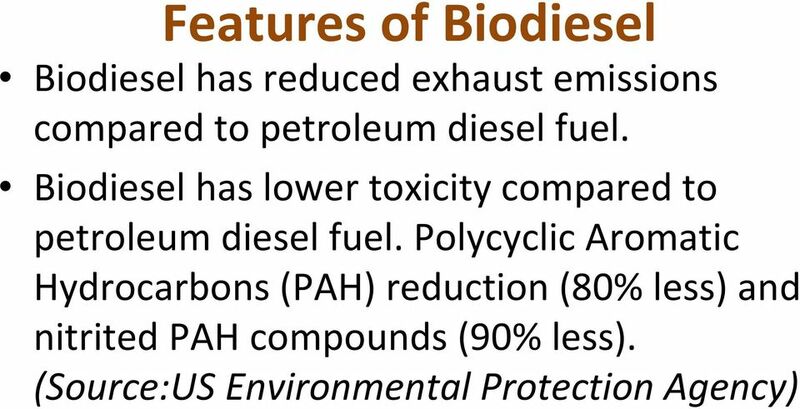 21 Biodiesel Emissions Explained HC 1. The oxygen content in the biodiesel molecule, which leads to a more complete and cleaner combustion. HC emissions decreased as the oxygen in the combustion chamber increased, either with oxygenated fuels or oxygen enriched air 2. 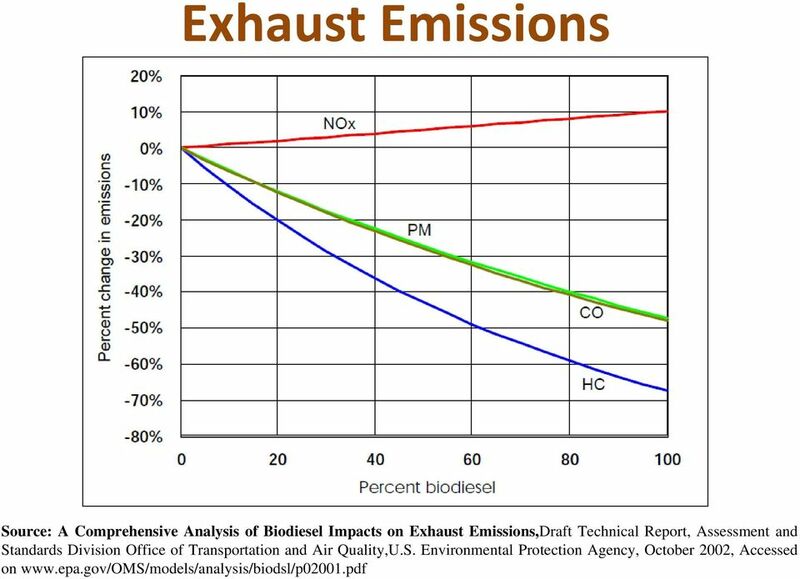 The higher cetane number of biodiesel reduces the combustion delay, and such a reduction has been related to decreases in HC emissions. 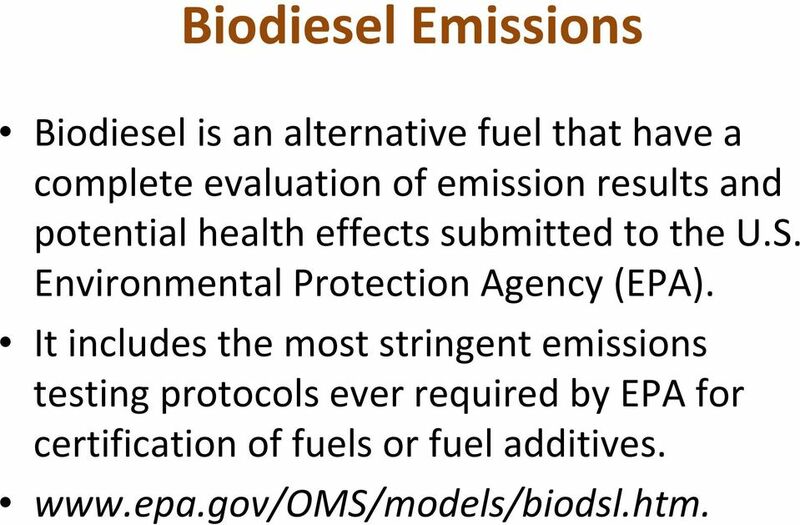 22 Biodiesel Emissions Explained PM 1. The oxygen content of the biodiesel molecule, which enables more complete combustion even in regions of the combustion chamber with fuel rich diffusion flames. 2. 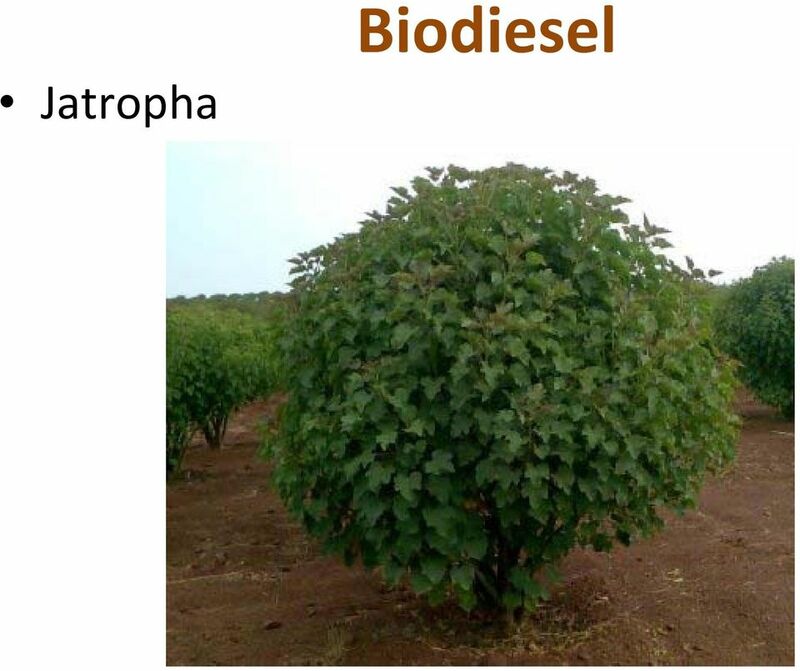 Absence of aromatics in biodiesel fuels. 24 Application of Biodiesel On Road Vehicles: All Vehicles having Diesel Engine can be powered by Biodiesel without any hassle. Off Road Vehicles: Natural Biodiesel fuel can be used for construction, mining, and farm machinery. 25 Application of Biodiesel Marine Vessels: Natural Biodiesel can be used in marine engines safely. Marine use is especially attractive due to the elimination of any possibility for contamination of waterways. Stationary Power Generation: With new power generation capacity coming online, Natural biodiesel makes an attractive choice to meet the regulations. 26 Application of Biodiesel Boiler Fuel: With natural gas prices rising high, biodiesel can be substituted easily for natural gas with minor changes necessary to the burner train. 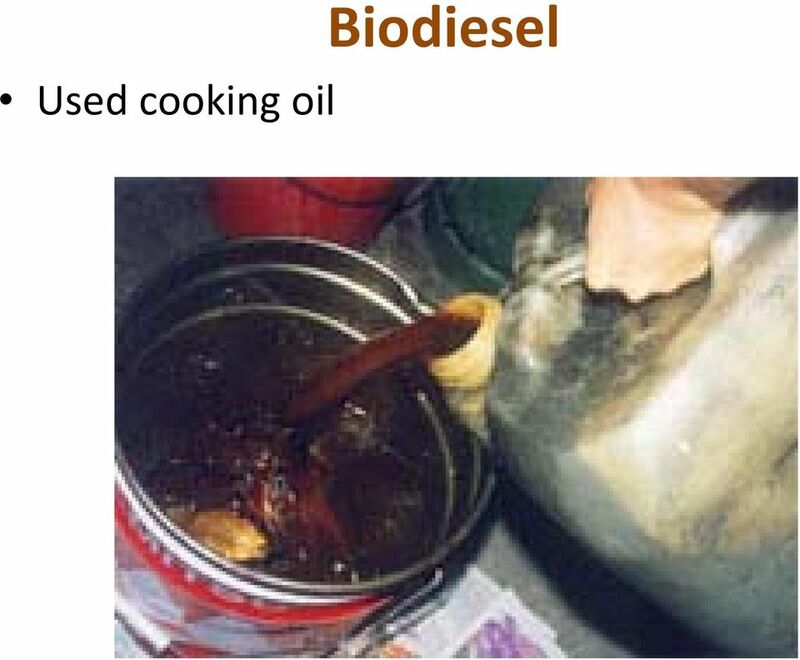 Fuel Additive: Biodiesel can also be used as a diesel fuel additive for the purpose of keeping the injectors, pumps and other combustion components clean. A 1 2% blend should be sufficient for this purpose. 27 Application of Biodiesel Lubricity Agent/Additive: Natural biodiesel can also be used as a lubricity agent/enhancer in many applications. It is especially useful in marine applications where water contamination with petroleum lubricity agents can create problems. 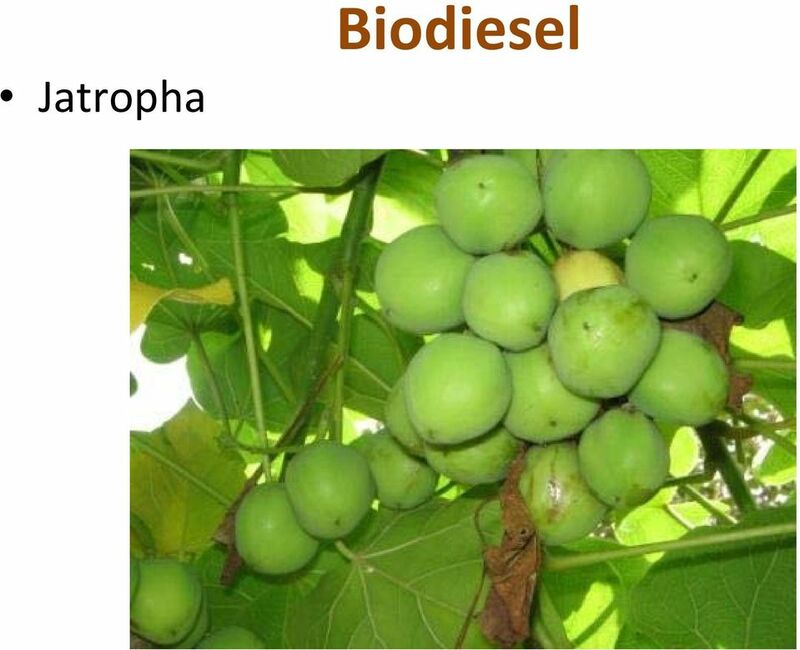 With the low sulfur fuel regulation of future, biodiesel can be used as a lubricity additive. A 1 2% biodiesel added to diesel fuel can increase diesel lubricity by 65%.